Discover the majestic beauty of the American Southwest with a timeshare at the Varsity Clubs of America Tucson. Find amazing vacation ownership units at steep discounts today with SellMyTimeshareNow.com. What’s My Varsity Club Tucson Timeshare Worth? 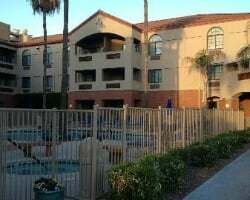 In the heart of one of Arizona's most popular vacation destinations, the Varsity Clubs of America – Tucson commands a reputation of excellent accommodations and fantastic on-site amenities. As a timeshare owner at the resort, you'll be able to craft the perfect Arizona getaway for you, with a close proximity to area attractions and many different lodging options. Plus, you can enjoy incredible on-site features at the resort, like a gorgeous outdoor swimming pool and a state-of-the-art fitness center. Just minutes from the University of Arizona, this resort is guaranteed to give you a five-star experience. 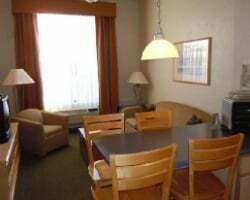 Accommodations at the resort range from studio units to spacious one and two bedroom units ideal for families or groups of friends. With enough space for up to six, your lavish ownership accommodations at the Varsity Club will come equipped with the best homelike amenities and features. With modern furnishings throughout, you'll find useful features like partial kitchens, whirlpool-style tubs, and up-to-date entertainment systems. Regardless of who you're traveling with, there will be the perfect accommodations for you at the Varsity Club Tucson. 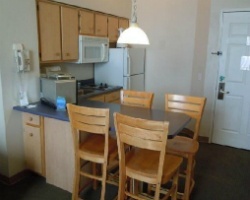 Are you ready to find the perfect accommodations for you at the Varsity Clubs of America – Tucson? Fill out the form on this page to learn more about ownership options at the resort today or call a representative at 1-877-815-4227. Buying a timeshare resale at the Varsity Club Tucson resort can result in years of amazing guaranteed accommodations in Tucson for a fraction of the price that others pay. Because timeshare resales are sold directly by timeshare owners, they're often priced much lower than retail costs. You can find the same great vacation ownership options at the Varsity Club for prices up to 70% lower than retail value, allowing you to get the deal of a lifetime. Timeshare resales at this resort are available in deeded fixed and floating Diamond timeshare weeks. You may also find timeshare resales in Diamond timeshare points, an ownership method that can prove to be more flexible for resale buyers. With the capability to narrow down timeshares by season, unit size, and price, you'll be able to find the long-term vacation solutions you want at the prices you want. The Varsity Suites Tucson is affiliated with Diamond Resorts, one of the world's most popular timeshare brands. As a timeshare resale owner at the resort, you'll have access to some of Diamond's best perks and privileges, but more could be yours through upgrading your ownership. By purchasing just a few additional points from the resort, you can combine your deeded week or all of your existing resale points with your new ones, opening up the possibility to join DRI Collections or Diamond's THE Club. These two features will allow you to adventure to other Diamond-affiliated properties around the world. The Varsity Clubs of America – Tucson resort is affiliated with the timeshare exchange giant, Interval International. One of the largest timeshare exchange companies in the industry, Interval International can enable you to explore new vacation destinations at one of 2,000-plus resorts around the globe. Simply obtain your Interval membership, deposit your Arizona accommodations into the exchange network, and trade for stays at comparable properties worldwide. Additionally, the Varsity Club is a Select-rated resort, meaning you'll be able to exchange with resorts of similar status without having to sacrifice quality. 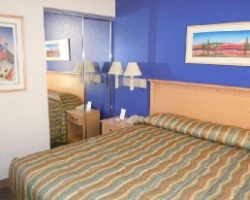 Perfectly positioned close to all of Tucson's best attractions, you'll find that the Varsity Clubs of America – Tucson resort is filled with a wonderful amount of on-site amenities and services to guarantee you a great stay every year. The outdoor swimming pool and hot tub are the perfect spot to relax on hot desert days or cool evenings, while the full-service fitness center is ideal for those who want to stay in shape on their getaway. The game room features video games and a pool table to keep guests of all ages entertained, while the outdoor barbecue areas can be utilized for picnics and meals. The on-site parking also provides a great place to store a rental vehicle to explore the surrounding area. Close to the University of Arizona, the Varsity Club Tucson makes it easy to explore the campus or attend sporting events. You'll also find classic Arizona attractions nearby, like the Arizona-Sonora Desert Museum and the San Xavier del Bac church. Visit Old Tucson Studios to take a trip back in time to Old West-themed movie sets, or check out the Pima Air & Space Museum to glimpse antique air and spacecraft. Take an ATV tour through the rough desert landscape, or catch a live show at the Gaslight Theater. Already Own at Varsity Clubs of America Tucson?